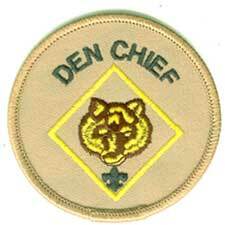 Description: The Den Chief works with the Cub Scouts, Webelos Scouts and Den Leaders in the Cub Scout Pack. By accepting the position of Den Chief, you agree to provide service and leadership to your troop. The responsibility should be fun and rewarding. This job description outlines some of the things you are expected to do while serving in this leadership role. Meets with adult members of the Den, Pack and Troop as necessary. Serves as the activity assistant at den meetings. Attend all den and pack meetings of the den to which you are assigned. Help the Den Leader conduct the meeting and keep order. Call the Den Leader to find out what is expected of you. At each meeting, find out what you need to do to assist the Den Leader. If serving as a WEBELOS Den Chief, prepare the boys to join Boy Scouting. Invite your den to visit a Troop meeting. Tell the WEBELOS about Boy Scouts. 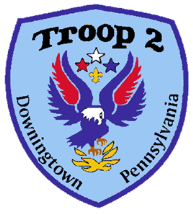 Make sure they know all the requirements for the Scout rank before they are finished with WEBELOS. Always wear the uniform properly. It gives the Cubs something to look forward to. Be enthusiastic about the Boy Scout program – tell them about the activities. Meet with your Den Leader each week to plan your part in the den’s upcoming activities.